The Ocalla Tramway: Behold, a Humble Potato. Okay, I have to admit the title for this one is a bit wierd... but it fits the name of this locomotive I have in progress. This post is about a small mining Porter I came up with while on a trip to Indiana. I was in a class room and I started a VERY rough pen sketch for a mining locomotive inspired by the "Wallis", which some of you other 20" gauge aficionados may know well. 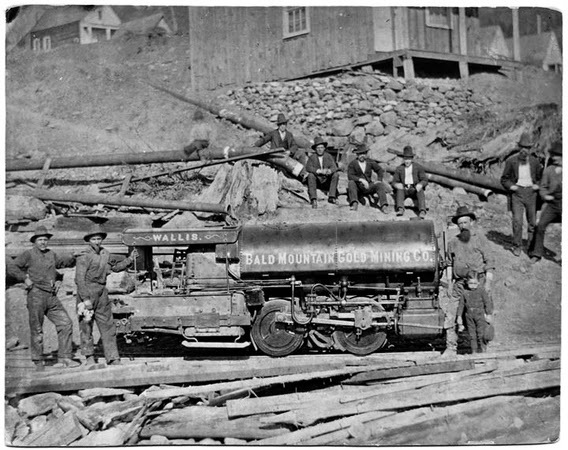 It was a small 20" gauge locomotive built by Baldwin and worked at one of the gold mines somewhere in California. And so I present to you, my humble "Spud". So name because its squat and compact proportions remind me of a potato! I have made some O scale drawings for the model and when I can get a scanner up and running I'll post them here along with a few other things. For a while I've been debating on whether I should keep this locomotive N gauge and use it on On18 mine tunnels and addits, or to make everything 20" gauge and widen the mechanism to On20. I'm leaning more towards On20... but I'm still questioning what to do. I'm open to thoughts and suggestions. As for the mechanism itself, I'm using a Bachmann N scale 0-4-0 chassis I picked up from a model train show in Myrtle Beach, SC. It was quite a bargain and it ran very well! Despite some of the things I've heard about the chassis. Almost nothing of the original locomotive, aside from the chassis, will be left. I'll be replacing the cylinders with a set of old Kemtron HOn3 C-16 cylinders a friend of mine is sending to aid in me in this particular project. Again, thanks Matt! The boiler I'm fashioning out of 1/2" OD brass tube and the rest I intend to make out of styrene sheet. Here are some shots of the eventual "boiler". 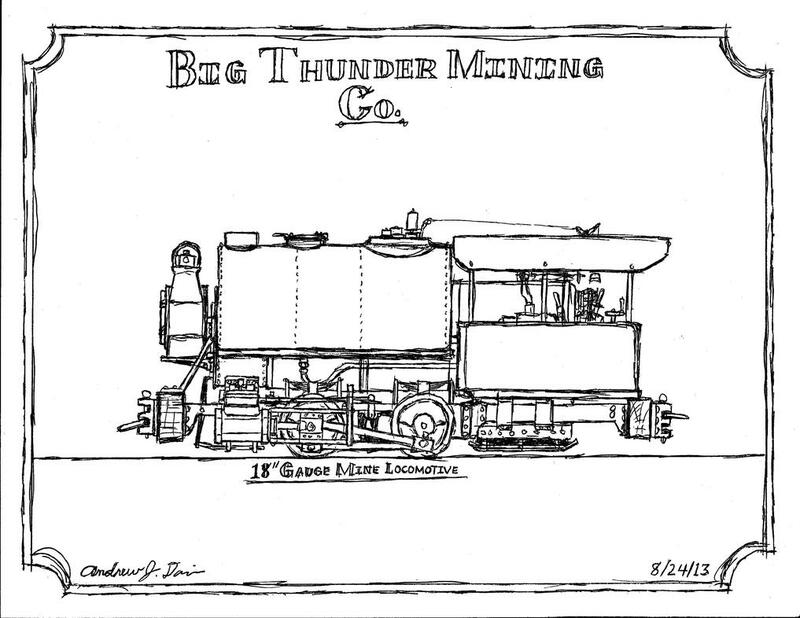 For the front, I'm thinking about ordering the 25.5" diameter smokebox front offered by Coronado Scale Models. Seeing as this tube would be 2 scale feet in diameter it should look just about right. And I can get a headlamp from wither Grandt Line of from Wiseman Scale Models. However, the problem I'm having is, for one, I haven't found any places locally where I can get the stuff. There's a Hobby Lobby, but I'm not certain if they carry it at this location. Second, without being able to look at the stuff I'm not sure what the best sheet thicknesses would be to fabricate the tank, cab, and other details. I figure once I have the cab walls made that I can use wire or metal rod for the roof supports. Anyway, here are some current photos of the Spud. It's not a whole lot, more text than anything, but it's something in addition to my shay. Which is progressing nicely. And I'll have a nice post about that soon. Thanks for tuning in!